Six weeks ago my family and I flew to Silicon Valley because my post-doc period at Stanford University was about to start. I am a visiting scholar for Professor Martin Fischer at CIFE (Center for Integrated Facility Engineering). We arrived before Christmas so that our kids would adjust to the Californian time zone before their school starts. Time difference between California and Finland is 10 hours. In addition, we had to take care of many practical, but time-consuming tasks, such as opening a bank account, registering kids to school, buying phone plans, finding bicycles, and shopping for various small things (How can you survive without a peeler?). 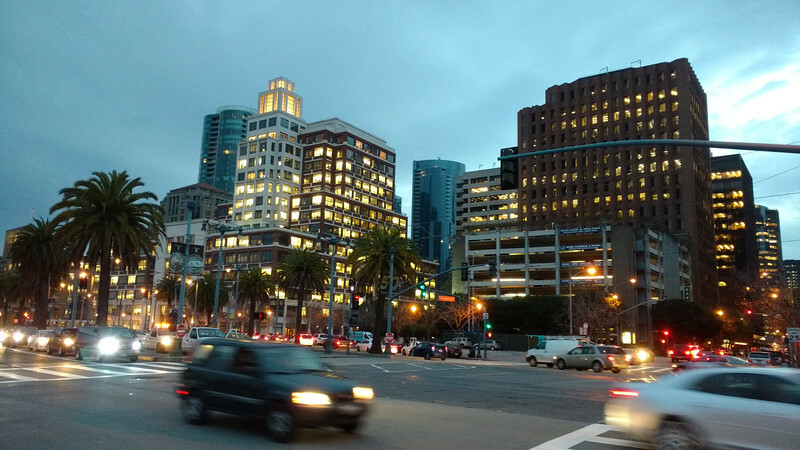 Then, we spent the Christmas in San Francisco with a Finnish family. We also spent the New Year with another Finnish family living in Mountain View. Actually, it seems that quite many Finns live in California and there are several (more or less active) Facebook groups where people post interesting happenings, sell and buy things, and ask others to join the children playground. 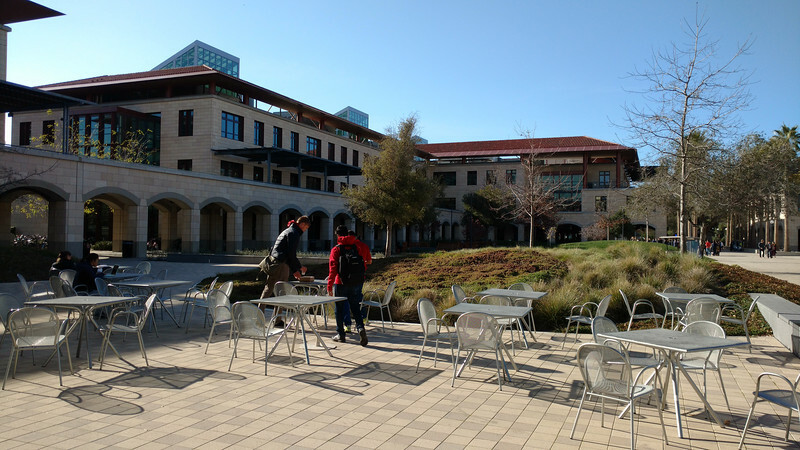 On the 4th of January I officially started working at Stanford in the Jerry Yang and Akiko Yamazaki Environment and Energy Building (Y2E2 building for short) which was built to encourage multidisciplinary research. The idea of the building is to bring together expertise to solve difficult environmental challenges. The building has been designed so that people can easily see each other working in offices. It has some sophisticated energy saving mechanisms, such as windows opening during the night for cooling. One of the first tasks a visiting scholar at Stanford needs to do is to take a one hour online course on General Safety, Injury Prevention, and Emergency Preparedness. I found the course quite useful since there is a possibility for a major earthquake (http://earthquake.usgs.gov/regional/nca/ucerf/images/2008probabilities.pdf). My workplace at the Environment and Energy Building, Y2E2. I have already met quite many interesting and ambitious people and have booked several lunch meetings also for this week. It is a nice way to spend your lunch time ‘productively’. I hope I now have all the contacts to start doing my research on the co-creation of digital services for facilities management. I wish I had been a Stanford student, because the campus is so beautiful and sunny. 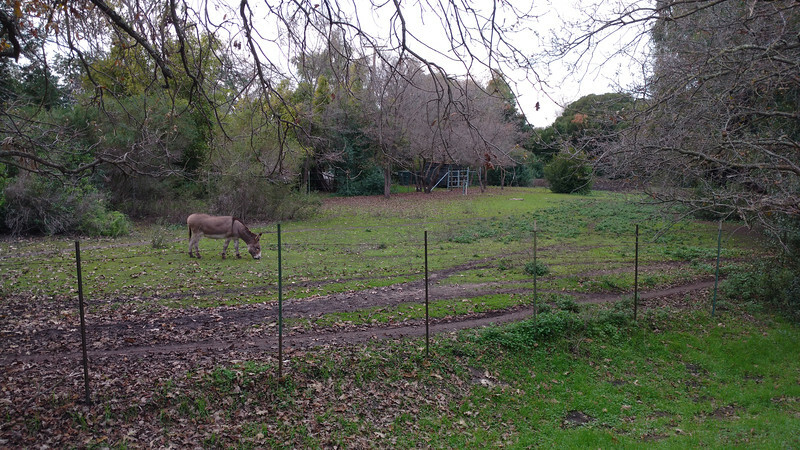 On my way home from Stanford I sometimes stop for staring at the donkeys. Who keeps donkeys in California in the middle of a busy city? My family has now settled nicely to the new environment. 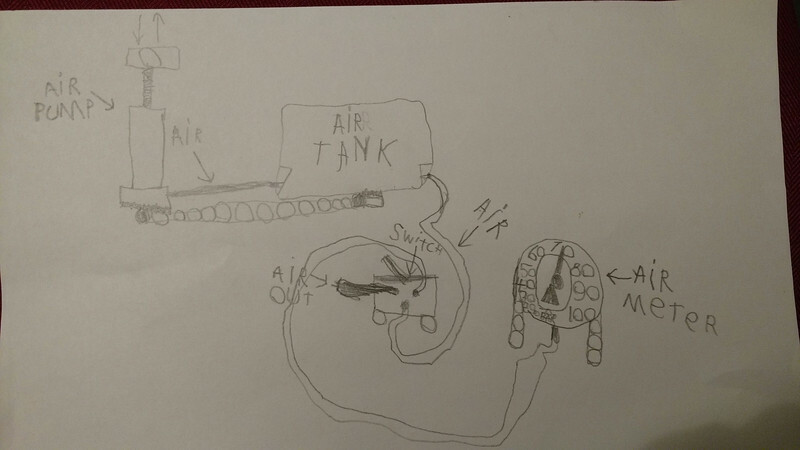 At first, our two sons (5 and 7 years) were struggling a little bit at school. They were complaining that they did not understand a word Mrs. Spencer or Mrs. DeRitis (their teachers) were speaking them but last weekend (after 2,5 weeks of school) I noticed that both boys have learned some English words already. The boys go to Edith Landels Elementary school (Kindergarten and 2nd grade), which is ranked quite high by the Mountain View School district. The school days are quite long, starting already at 8:15 am and ending at about 2:50 pm. There are two short breaks during the day so that the students can eat and play outside for a while. Most of the students bring their own lunch with them, but some of the students buy their lunch from the school’s café. We also looked at the school menu, but it was mainly hamburgers, hot dogs, and pizza so we decided not to spoil our boys, because they are supposed to eat healthy Finnish school lunch next autumn again. 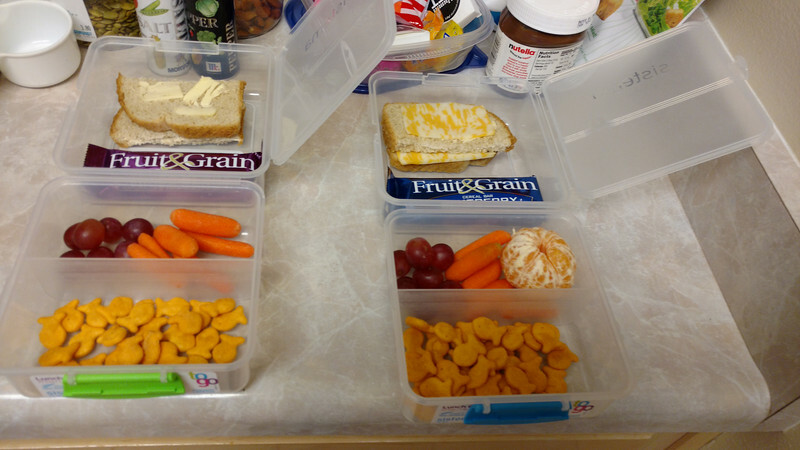 Boys’ lunchboxes ready to be put in their back bags. Healthy or not – who knows? Childrens’ playgrounds are used quite actively here (except when it is raining) and there are lots of them. 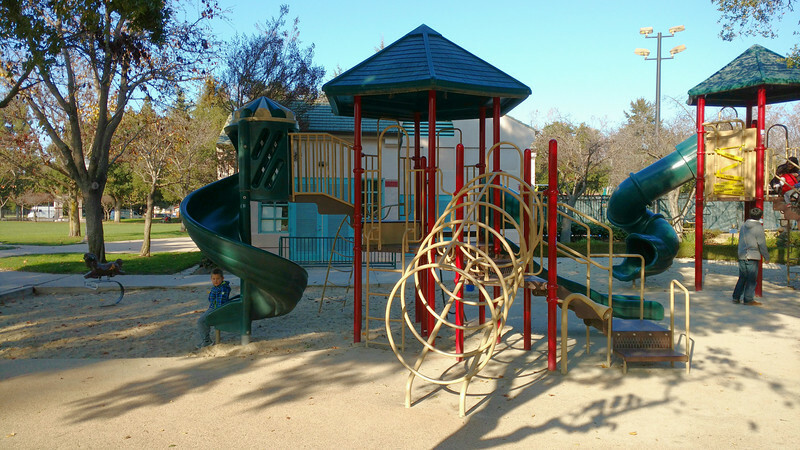 For example, our nearest playgrounds are Johnson Park, Stevens’ Creek Side park, Whisman Park, Landels School Park, Mercy-Bush Park, and Eagle Park. Eagle Park which is one of our kids’ favorite playgrounds. America and Bicycles – Do They Match? 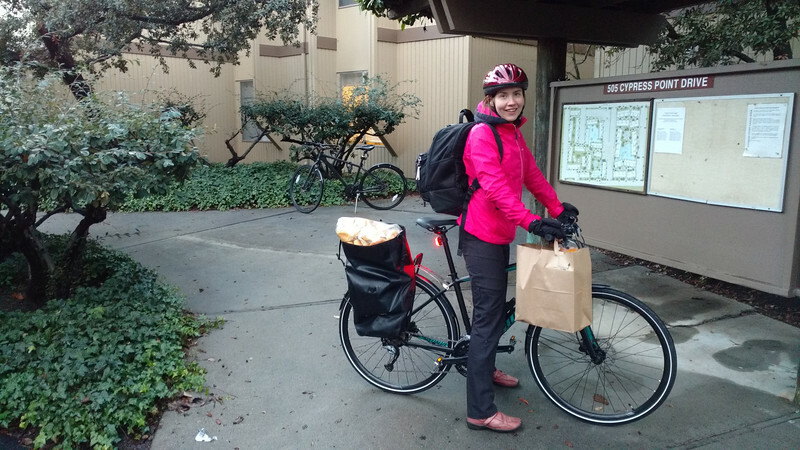 This is how it looks when you shop your groceries and bring them home by bike. 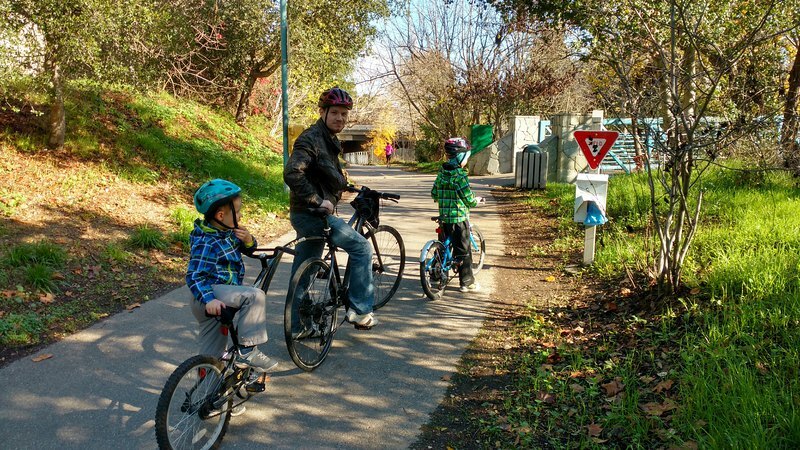 Our younger son needs to become a better cyclist before we let him ride to school with his own bike. I have been attending Professor Ray Levitt’s course on Organization Design for Projects and Companies. I have studied organization theory and design so I am familiar with many of the concepts, such as information processing view, institutional view, small group processes, and coordination theory, but it teaches organization design in the context of engineering projects and companies. In addition, the course uses the Flipped classroom method where students read course material and also watch a video before the class (Professor Levitt has video-recorded some of his lectures), and then during the class the students reflect and elaborate on the theories and practice them using a case study. I think the pedagogical model helps the students to learn, because they are familiarized with the theoretical concepts before the lecture and use them in a practical case study during the lecture and get comments from the Professor. Learn the name of the other person and use it in meetings because it shows that you care about the other person. This strategy is part of the American culture, but I think I will start using this strategy in Finland, because it feels good when the other person uses your name. Find out what motivates the other person and ‘use’ that motivator to make the other person work for your interesting and meaningful project. This originates from Maslow’s hierarchy of needs -theory. For example, a software engineer can be motivated to work voluntarily, without a payment for an open source project, because s/he has the possibility of increasing her/his status in the community. A young person should build up her/his social capital while building expertise in her/his field. It is highly important to build a network, ‘do favors to others’ (social exchange theory), build charisma (http://www.businessinsider.com/how-to-become-a-more-charismatic-leader-2015-12), and project oneself (‘kulkea selkä suorana’ as Finns would say). I was amazed that these kinds of issues were taught at an engineering school! Very nice indeed! 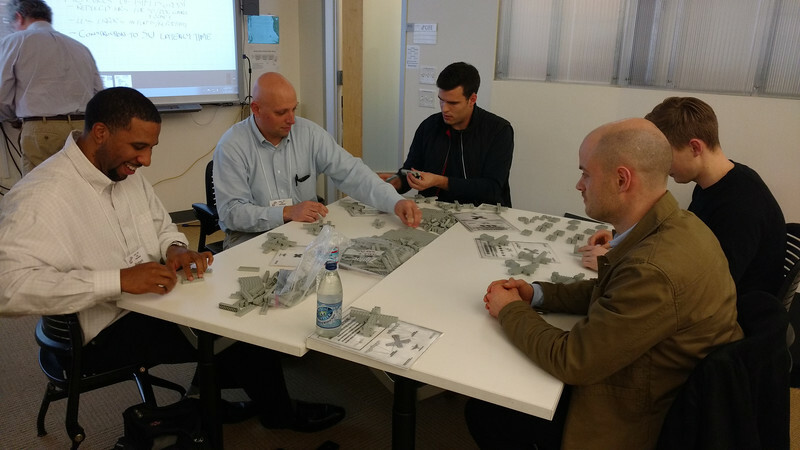 Learning the idea of a production system using Legos. Another important message of the course was that the AEC professionals should put more focus on the client’s business objective, which usually is that the building to be built would be of high performance (usable, operable, and sustainable). The design and construction costs of a building are much less than the operating and maintenance costs of the building, and thus the emphasis should be on building high performance buildings and not just lowering the costs of design and construction. However, the lifecycle cost analysis is not that straight forward as you might think (https://www.wbdg.org/resources/lcca.php). 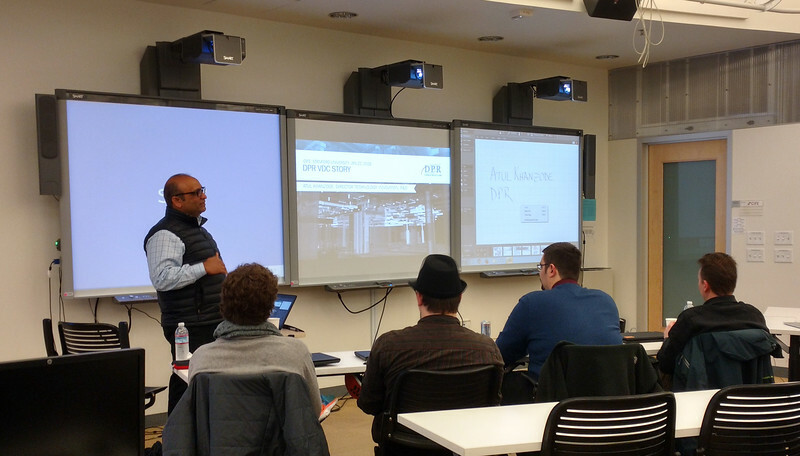 The course participants had the great privilege of having Doctor Atul Khanzode, technology and innovation leader at DPR Construction to tell about DPR’s virtual design and construction story which, in my opinion, was really encouraging. Doctor Atul Khanzode and DPR’s virtual design and construction story. VDC students doing an ICE session. 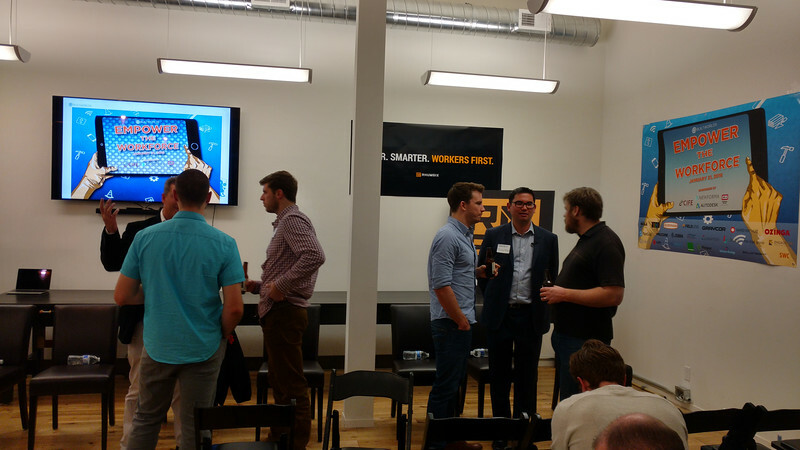 I had an opportunity to visit Rhumbix (http://www.rhumbix.com/) which hosted BuiltWorlds’ (http://www.builtworlds.com/) panel of startups that want to empower the workforce at construction sites with mobile solutions. The discussion was nicely facilitated and very interesting. The startups claimed that digital technologies will empower workforce so that the workers can do their work more efficiently and go earlier home to see their families, but Professor Martin Fischer said that it might also be so that some of the workers are laid off if technology can replace them. For example, I think industrialized and modular construction could show us the way forward in the real estate and construction industry. I also think that technologies, such as robotics, drones (unmanned aerial vehicles), VR (virtual reality), and IoT (internet of things) might also disrupt the industry. As a conclusion, I think it would be of high importance to get interested in these technologies. 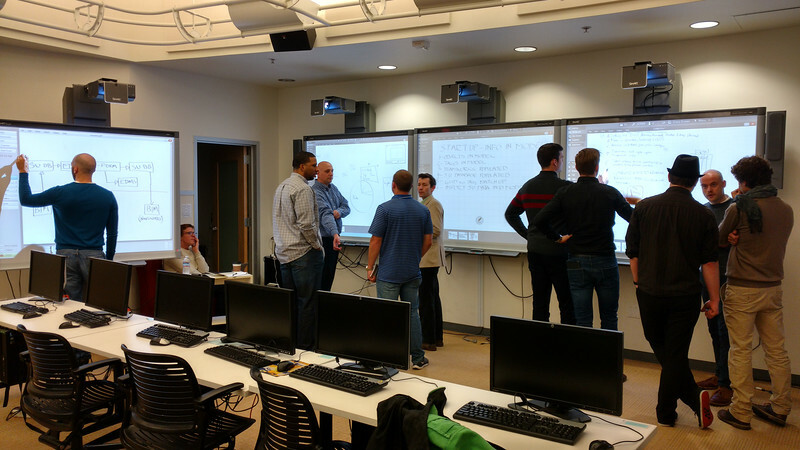 For example, AEC professionals can take part in AEC hackathons to learn what can be done with these technologies. 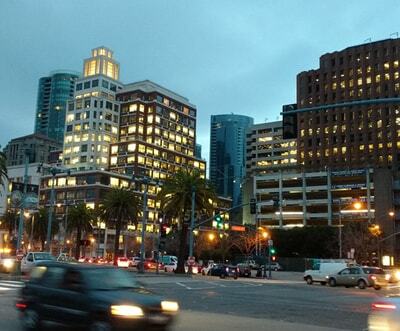 Empowering workforce at Rhumbix in San Francisco. 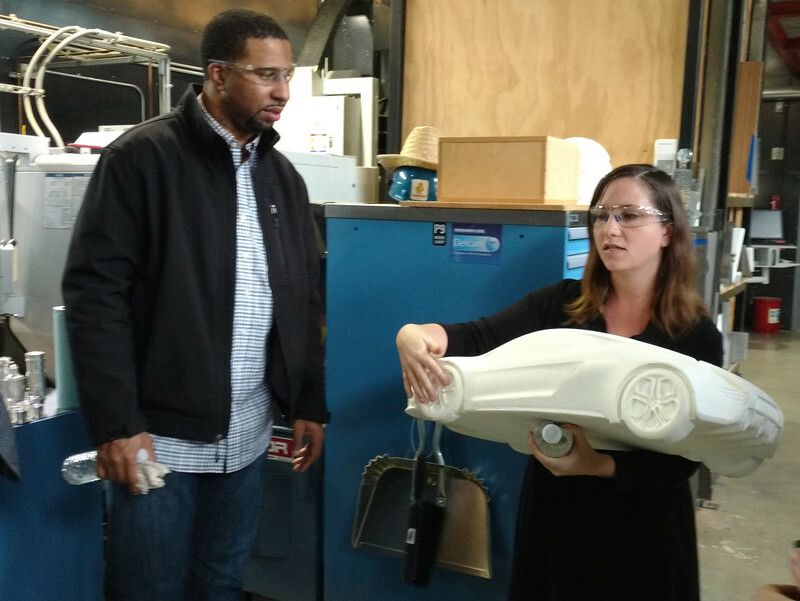 I also visited Autodesk at Pier 9 where Autodesk hosts creative workshops where people can use the tools they need for their innovative designs. I saw many nice designs that had been created with different materials, such as plastic, steel, and wood. The excursion was very interesting, because I got to see many 3D printers in action. I also saw big machines that can cut thick steel using pressurized water. The message of the excursion was that anyone can become a builder. Of course, some tools and machines require that one first learns how to use them safely. A car created with a CNC (computerized numerical control) machine. Finally, I need to note that my husband Kari (http://karilavikka.fi/) is a software developer so he will take care that we also learn about the Silicon Valley’s Tech Hub. For example, one evening he visited Hacker Dojo (http://www.hackerdojo.com/), which is a community of hackers and startups that locate in Mountain View. Seuraava Seuraava artikkeli: Terveisiä Mainzista! Stanford Uni looks just amazing. I wish we had even remotely similar weather here in Finland.